Comments: Barnett (Nee: ) | MO, OK United States | 1851-1900 | Comments: This is the mother of Laura Alice Barnett. I don't know this woman's name or when she was born. 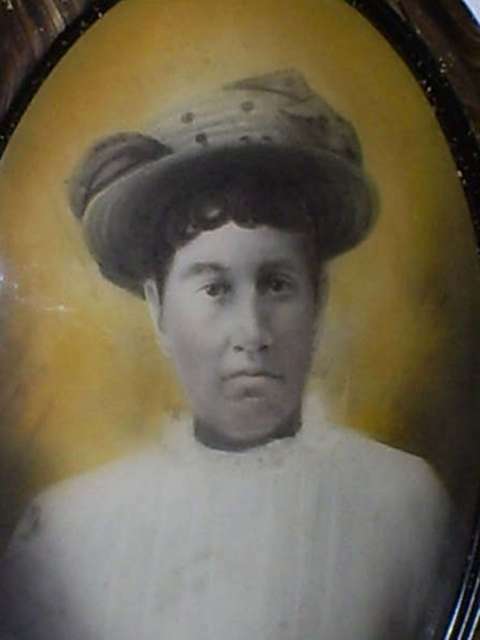 All I know is that her daughter Laura was born in 1876 in MO, then she married William Conner and moved to OK. Laura and William lived in Harmon Co., OK for many years. It is possible that this woman (Laura's mother) may have also moved to OK. I do know that Laura was at least part Native American and the family believes her mother (in photo) was Native American.